Dr Su Hsien Ching David is a Medical Specialist and a co-founder of the Group. Prior to establishing the Group in 2013, Dr Su Hsien Ching David was a Consultant Orthopaedic Surgeon and the Director of the Foot and Ankle Service at the Department of Orthopaedic Surgery, SGH. He continues to serve as a Visiting Consultant in SGH. Dr Su held an appointment as an Adjunct Assistant Professor at the Duke-NUS Medical School. He has served as Honorary Secretary of the Singapore Orthopaedic Association in the past. Dr Su graduated with a Bachelor of Medicine and Bachelor of Surgery in 1999 from NUS and also obtained his postgraduate medical qualifications from NUS in 2005. In 2008, Dr Su qualified for his fellowship in orthopaedic surgery with the Royal College of Surgeons of Edinburgh. Dr Tan Chyn Hong is a Medical Specialist and also a co-founder of the Group. Prior to establishing the Group, Dr Tan Chyn Hong was a Consultant and the Head of the Division of Sports Medicine at the National University Hospital ("NUH") in Singapore from 2012 to 2014. From 2010 to 2014, Dr Tan was also a Consultant in the Division of Shoulder and Elbow Injury. Dr Tan held the position as an Associate Consultant at the Department of Orthopaedic Surgery at NUH from 2008 to 2010 and pursued his Health Manpower Development Plan fellowship in Melbourne, Australia in 2009. As part of his rotation from 2004 to 2008, Dr Tan held the position of Registrar at NUH, KK Women's and Children's Hospital, Tan Tock Seng Hospital, SGH and Alexandra Hospital. In 2007, Dr Tan was part of a workgroup appointed by MOH to develop the national clinical practice guidelines in the treatment of osteoarthritis of the knee. In the same year, he was awarded the inaugural College of Surgeons Gold medal from the Academy of Medicine Singapore for being the most outstanding candidate in the fellowship examination in orthopaedic surgery from the Royal College of Surgeons of Edinburgh. Dr Tan graduated with a Bachelor of Medicine and Bachelor of Surgery in 1998 from NUS and also obtained a Master of Medicine in Orthopaedic Surgery from NUS in 2004. In 2008, Dr Tan qualified for his fellowship in orthopaedic surgery with the Royal College of Surgeons of Edinburgh. 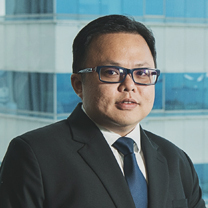 Mr Travis Seet joined the Group in July 2017 as CFO. 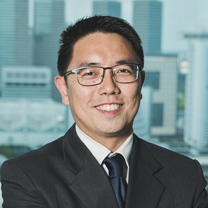 Prior to joining the Group, Mr Travis Seet was the Group Financial Controller from 2008 to 2013 and thereafter the Group Deputy Chief Financial Officer from 2013 to 2017 of China Minzhong Food Corporation Limited, a company listed on the Main Board of the SGX-ST until 2017. From 2004 to 2008, Mr Seet worked as an auditor with PricewaterhouseCoopers, Singapore. 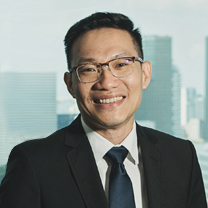 Mr Seet graduated with a Bachelor of Accountancy (Honours) degree from the Nanyang Technological University in 2004 and is qualified as a Chartered Accountant in Singapore. Ms Violet Kwek the Group's COO who has been with the Group since its inception. Ms Violet Kwek is a trained nurse who occasionally assists the medical specialists in complex surgeries. Prior to joining the Group, from 2006 to 2014, Ms Kwek worked as a senior staff nurse at the SGH. Ms Kwek's dedication to her profession and her patients has been recognised in several awards which include, inter alia, 100% work attendance for numerous years, the Excellent Service (Silver) Award and the Singapore Health Quality Service Award (Silver). 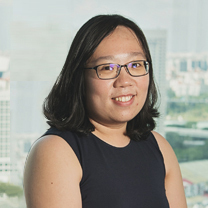 Ms Kwek graduated from the Faculty of Nursing and Midwifery, University of Sydney with a Bachelor of Nursing in 2013 and is a registered nurse under the Singapore Nursing Board. Prior to that, Ms Kwek pursued a Diploma in Nursing as well as an Advanced Diploma in Nursing (Perioperative) at the Nanyang Polytechnic.